Investigators said Monday that one of the so-called black boxes showed that the airspeed indicator on the Boeing jet malfunctioned on its last four flights, including the Oct. 29 crash that killed all 189 people on board. Airspeed indicators have been around for decades to tell pilots how fast they are flying. They are paired with separate indicators measuring the degree to which the nose is pointed up, down or level. Modern jetliners have redundant measurements to help pilots spot and disregard a single reading that looks unlikely and possibly erroneous. Speed-measuring systems consist of tubes and sensors that measure air pressure generated by the plane’s movement and compare it with surrounding air pressure. They fail occasionally, especially in bad weather at high altitude, when the tubes located under the plane’s nose can become jammed with ice, preventing air from reaching the sensors. The Oct. 29 Lion Air flight took off in good weather. Frozen pitot tubes were blamed for the 2009 crash of Air France Flight 447, which killed all 228 people on board. The year before, the U.S. Air Force said moisture in sensors caused the 2008 crash of a B-2 stealth bomber on Guam; both pilots ejected safely. In 2015, a wasp nest plugged the sensors on an Allegiant Air jet leaving St. Petersburg, Florida, forcing pilots to cut the flight short and land in Orlando. Pilots train in simulators to learn how to notice potentially faulty readings and work around them. They learn the normal power settings and attitude, or nose-up and nose-down settings, for each of the various phases of a flight. A problem with the airspeed system should not result in a crash under most circumstances, according to safety experts. “If you were driving down the interstate and the speedometer failed, would you expect to crash the car?” said John Cox, a former airline pilot and now a safety consultant. He said a faulty airspeed system might have contributed to the crash, but that based on what we know so far, it shouldn’t be considered the cause of the crash. 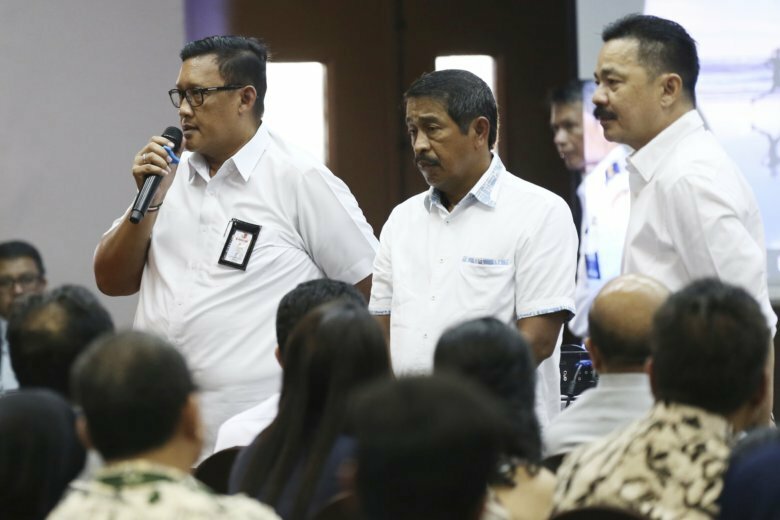 Safety experts said investigators will look at why Lion Air didn’t ground the plane if it experienced recurring problems with the sensors and subject it to more rigorous inspection and testing until the problem was fixed. Alan Diehl, a pilot and safety consultant, said the report that the same problem happened four times and was never fixed suggests that the problem may have been intermittent, making it harder to pin down. “Intermittent failures are very difficult for maintenance personnel to trouble-shoot because a lot of times they just say, ‘Cannot duplicate,’ and they write it up that way,” Diehl said. The pilots’ actions will also be studied. Data transmitted from the plane and captured by flightradar24.com indicates that the plane continued flying at high speed away from the airport to which they intended to return, which Cox said seemed unusual. The data transmissions — which will have to be confirmed through comparison with information from the plane’s black boxes — also show that a moderate reduction in altitude turned into a dramatic rate of descent, a loss of control. Cox said that once investigators have all the data, they will work backward to determine if there was a problem with one of the plane’s systems or if pilot decisions put the plane in peril. “We know that three other crews faced a similar challenge in this airplane and they landed successfully,” he said, referring to the findings of airspeed indicator malfunctions on four flights including the fatal one. In a modern jet like the Boeing Max 8 that crashed, readings from airspeed sensors are processed by a computerized “flight management system” and sent to displays in the cockpit. They also have analog backup systems. Despite all their training in flying without airspeed indicators, however, pilots can become unnerved when confronted by failure of a system that they count on. Some experts believe the hazard has increased with today’s highly automated cockpits. In the Air France accident, all three primary and two backup airspeed-reading systems failed. “The crew got saturated trying to figure out why their computers weren’t working, and they quit flying the airplane,” said William Waldock, who teaches accident investigation at Embry-Riddle Aeronautical University. Divers have recovered one of Lion Air Flight 610’s two black boxes, the flight data recorder. They have not yet found the other one, which captures conversations in the cockpit and ambient sounds such as a change in engine noise.